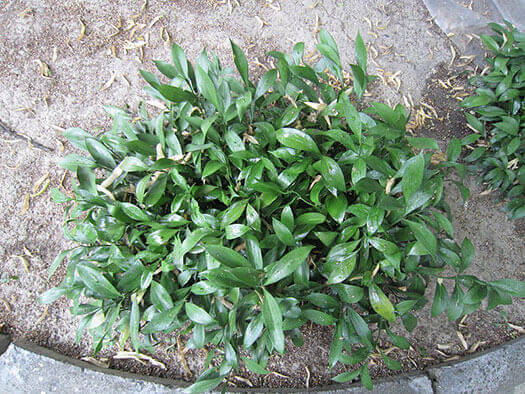 Ruscus x microglossus provides excellent ground cover for dry shade. This plant forms clumps of stems with shiny leaves. Small white flowers appear in autumn/winter followed by green then black berries. A great ground cover for shady areas. Foliage is used in floral work. Height to 1m. Width to 1m.